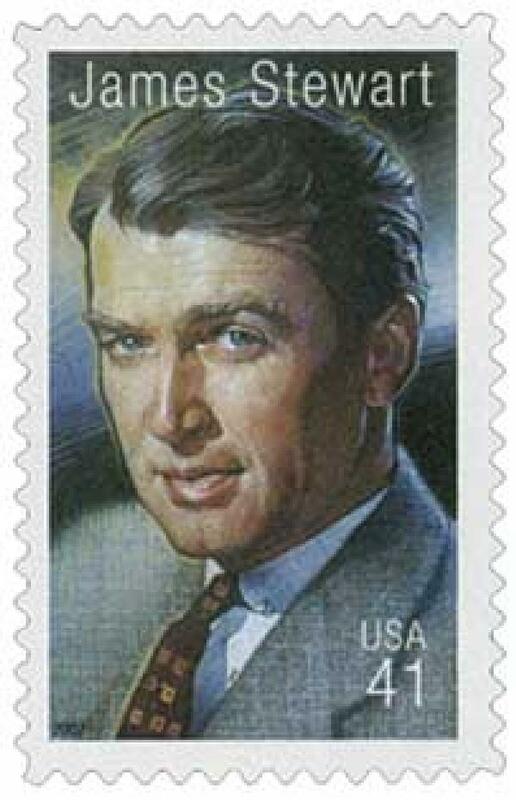 U.S. #1145 was designed by Norman Rockwell, who had a long history of creating art for the Boy Scouts. On February 8, 1910, the Boy Scouts of America was officially founded. The world’s largest youth organization, the Boy Scouts, has grown from a British youth group to a worldwide movement with members in almost every country around the globe. 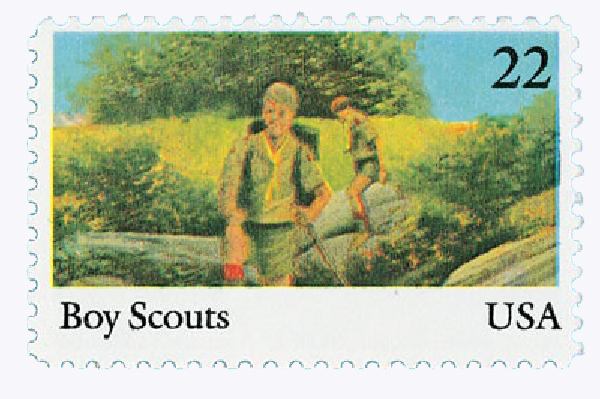 U.S. #995 was the first U.S. stamp issued to honor the Boy Scouts of America. Robert Baden-Powell first founded the Boy Scouts in England, as discussed here. One of the well-known Boy Scout traditions is doing good deeds. 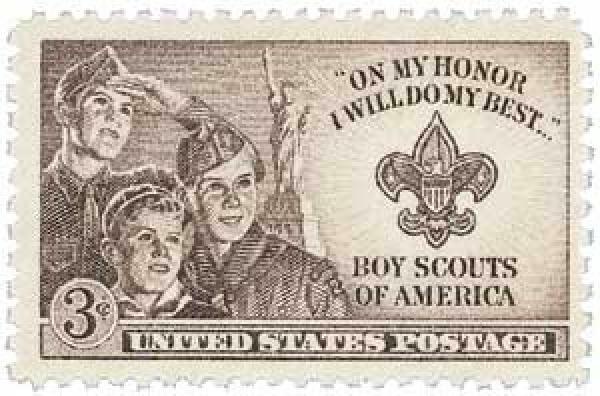 It was a good deed, done by an unknown English Scout, which was responsible for bringing scouting to the U.S.A.
U.S. #2161 was issued for the 75th anniversary of the Boy Scouts. As the story goes, Chicago publisher William D. Boyce lost his way in London in 1909. Seeing his dilemma, a young boy approached Mr. Boyce, saluted smartly, and offered his services. When the American tried to give the boy money as a reward, the boy refused, explaining that it was his duty as a Scout to help. Mr. Boyce didn’t know what a Scout was, but he wanted to know more. Boyce obtained information from the Scouting office in London, and brought it home to America. U.S. #1039 – Though Roosevelt was never a scout, his support of the organization earned him the title of Chief Scout Citizen. Even before this, however, there were similar youth programs in America, most notably the Woodcraft Indians, founded by Ernest Thompson Seton in 1902 and the Sons of Daniel Boone, founded by Daniel Carter Bear in 1905. In fact, Robert Baden-Powell included aspects of Seton’s organization in his founding of the Boy Scouts. On February 8, 1910, Boyce incorporated the Boy Scouts of America. In the coming months he worked with other youth group leaders including Seton, Beard, and Charles Eastman, and agreed to let the YMCA help him develop the Boy Scouts of America. 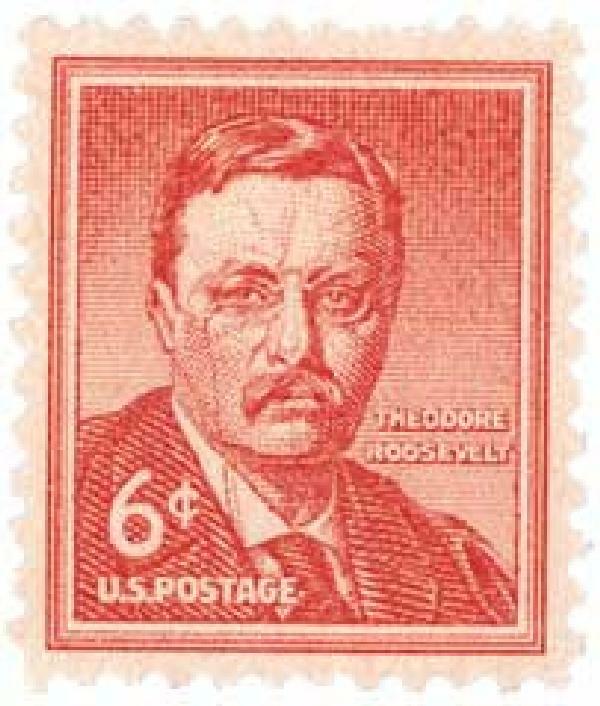 During this time, former President Theodore Roosevelt learned of the group and offered his full support. 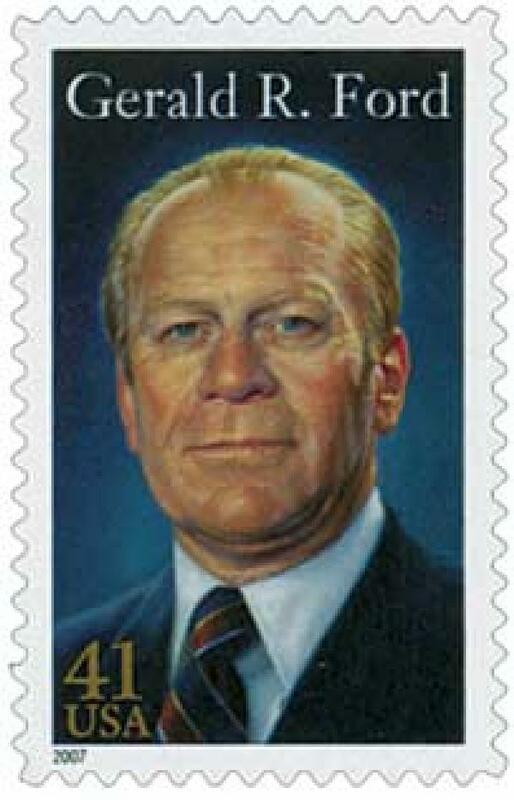 Also during that first year, James E. West was made Chief Scout Executive and began expanding scouting across the U.S. Many other youth movements eventually merged with the Boy Scouts of America. 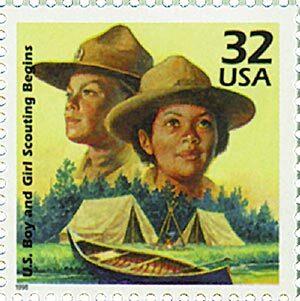 U.S. #3183j honors the founding of Boy and Girl Scouts in the 1910s. A year after it’s founding, the Boy Scout Headquarters opened on 5th Avenue in New York, NY. Later that year a meeting was held at the White House, where it was decided that each President of the United States would be the Boy Scouts’ honorary president. That tradition continues today. During Woodrow Wilson’s 1913 inauguration, Boy Scouts were used for crowd control, and they have served in some part of the ceremony in every inauguration since then. 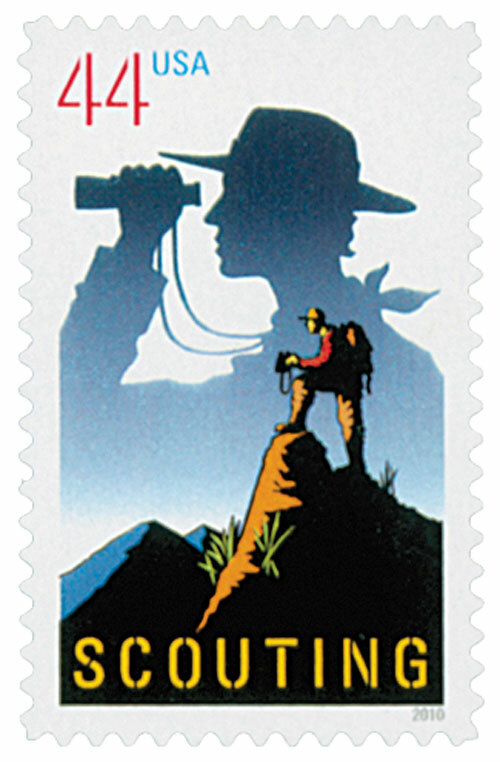 During World War I, American scouts served as message runners and coast watchers. They also inventoried black walnut trees needed for airplane propellers. 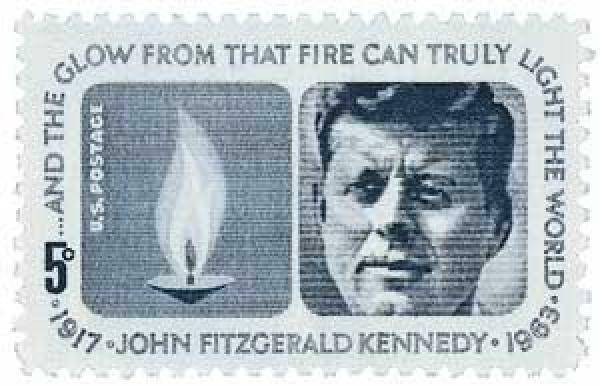 Their most monumental contribution, however, was the sale of Liberty bonds used to help finance the war, selling over $352 million worth. 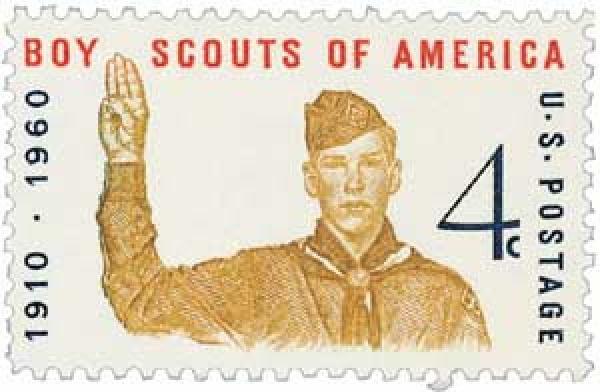 U.S. #4472 was issued for the 100th anniversary of the Boy Scouts of America. Continuing their service to others, Scouts assisted relief agencies during the Great Depression, collecting almost 2 million articles of clothing and household items for the needy. During the 1939 New York World’s Fair, almost 4,000 Scouts served as ushers, guides, and honor guards. World War II found the scouts still obeying their oath of service to others. They collected nearly $2 million in war bonds and stamps, planted victory gardens, and collected so much scrap rubber, paper, and aluminum, it is hard to imagine how we would have won the war without them. After the war, they collected 7,000 pieces of clothing for Europe and China’s refugees. Since World War II, Scouts have organized food drives for the hungry, helped get out the vote, and supported conservation projects. 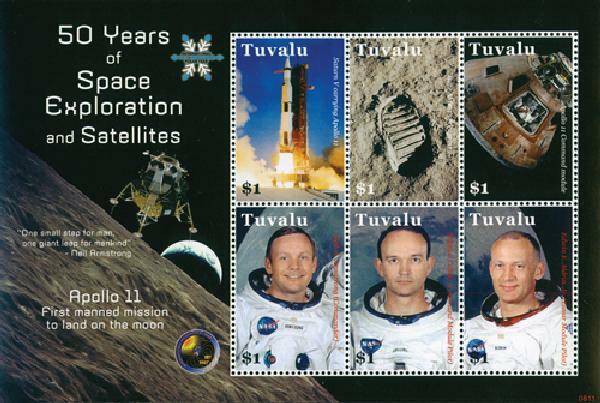 Click here for more Scouting stamps. This entry was posted in February 2017, This Day in History. Bookmark the permalink. 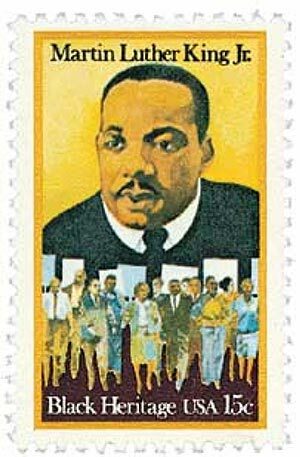 10 Responses to "This Day in History… February 8, 1910"
Such a good beginning, such a disastrous current state of affairs! My dad was a Boy Scout and a leader, and his brother was a scout. My brothers were Boy Scouts. My husband was a Boy Scout and our son was as well. Now his young son, our grandson is a Boy Scout following a great family tradition! Thanks Mystic for this article on the history of Boy Scouts. Will you be doing one next month on the history of the Girl Scouts? Still one of the greatest organizations in the world. 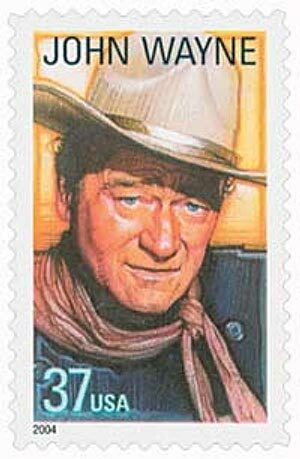 I am an Eagle Scout as is my son, and the leadership, citizenship and survival skills are still important to me today. My brothers and I were boy scouts in the 1950s and 1960s, our dad was a volunteer leader, and we thoroughly enjoyed the experience. We went to summer camp every year and even had weekend camping trips during the school year. I went on to the explorer scouts and rose to the rank of Eagle, of which I am still proud. I was al little down on the national organization for a while because of its exclusionary policies, but I am happy that it gradually evolved with the times. Scouting really helped me out in the industrial wasteland that was Niagara Falls in the 50’s. I learned so much and got to experience nature in so many ways, Went to the National Boy Scout Jamboree at Valley Forge. Everything I learned, including honor, self-respect, and “good deeds” continued through my life. As an Architect, I became an early proponent of the “green” movement” and established many environmental policies that people now take for granted . I hope it will continue for young men and women through this crazy period in America. Thanks Mystic- your Powell article earlier was great too! Scouting is not nearly as popular as it was when I was young; I too was a Cub Scout and a Boy Scout. Perhaps this tells us something about the state of America today. Can you imagine a youngster today doing a good deed and being offered money and actually refusing the money? It’s a sad state of affairs.